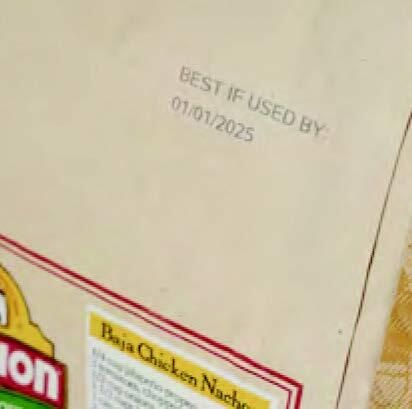 Due to excessive downtime caused by multiple difficulties with their previous coding system—including ink clogs and spills that required frequent cleanup, challenging and confusing user interface that caused multiple coding errors, and slow start-up times that impeded productivity—a tortilla chip manufacturer needed a new way to mark date and lot codes. Matthews Marking Systems implemented a low-maintenance thermal inkjet printer with cartridge-based ink supply, controlled by the MPERIA® platform for ease of message creation, system control and future expandability. Matthews replaced the CIJ system with a single, easy-to-use VIAjet™ L-Series thermal inkjet (TIJ) L12 0.5-inch (12.7 mm) tall printhead. The system marks variable data at a higher printing resolution (600 x 600 dots per inch (25.4 mm)) than CIJ printers for maximum clarity, and at speeds up to 1,200 feet (365.7 meters) per minute. It also starts up and shuts down in seconds. 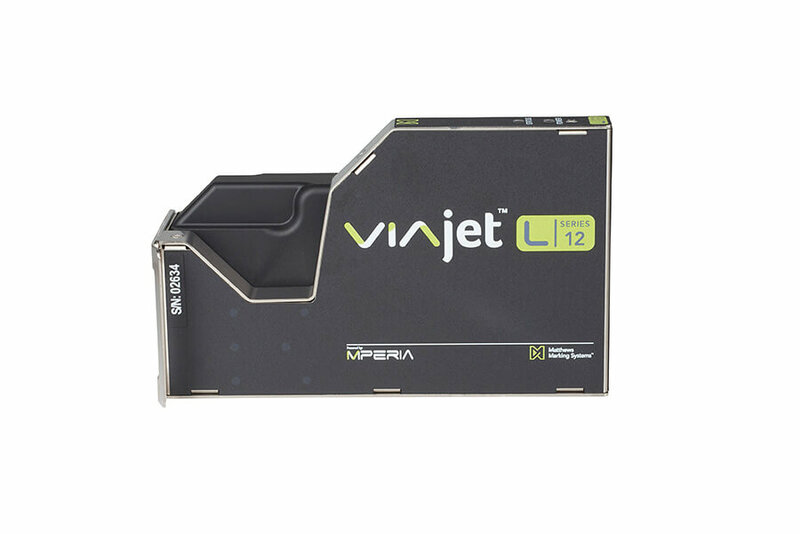 Because the VIAjet™ L-Series utilizes a cartridge-based ink supply, it is inherently clean and maintenance-free—no ink and solvent mixing required. Instead, an operator simply replaces the cartridge to refill the ink supply, a process that takes 10 to 20 seconds. Inserting a new ink cartridge removes the potential for clogs or spills, eliminating downtime required for cleaning. Managed and controlled by MPERIA®, Matthews’ universal marking and coding automation platform, the company selected a 7-inch touchscreen graphical user interface (GUI) for simple input of coding information. MPERIA® allows marking in multiple languages; messages can be created, selected and printed without requiring any special operator training. Further, MPERIA® supports any future expansions, easily controlling and managing the addition of more printheads or production lines should output levels increase. Installation took less than a day and only required the mounting of a printhead bracket to the side of the existing conveyor line. By replacing the CIJ system with Matthews’ MPERIA-driven VIA-jet L-Series TIJ system, the company eliminated complicated ink and solvent mixing, clogs and spills and slow start-up time, cutting their printer-related downtime by 90%. Additionally, with the simple-to-navigate MPERIA system, operators were able to easily set up and edit manufacturing date and lot codes with minimal training, significantly minimizing errors. Due to an overall increase in throughput and worker productivity, the company achieved a full return on investment (ROI) in four months.